Program notes for my new CD "Polychromatic"
Polychromatic is a meeting of cultures and traditions experienced through piano music, in the hands of classically-trained Cuban pianist Willanny Darias. This multi-colored production contains works by Robert Schumann and Alban Berg, as well as four living Cuban composers: Aurelio de la Vega, José María Vitier, Aldo López-Gavilán and Yalil Guerra. The Symphonic Études by Schumann, an 18-part work, turn the piano into an orchestra where different moods, timbres, and characters are blended and superimposed. The pianistic difficulties are not for purely technical virtuosity but instead are meant as a clarification of the form and an expression of the polyphonic complexity. This version of the work, which also includes the five posthumously-published variations, is able to portray the conversation between the imaginary characters which represent the two opposite, contrasting sides of Schumann’s personality — the introspective, melancholy sections in the voice of Eusebius, and the fiery, wild ones as told by Florestan. Berg’s Piano Sonata firmly stands on the imagined fence between Romanticism and Modernism, between tonality and atonality, between tradition and innovation. While comprised of a single movement in sonata form, it is also an expression of Schoenberg’s idea of developing variation, since most of the musical material in the work can be traced back to the first two measures. The heavy use of chromaticism and whole-tone scales give the Sonata its unstable and almost-atonal feeling — at times yearning, at other times despairing, its final return to the key of B minor does not feel like an arrival, but rather a resignation. Aurelio de la Vega’s Preludio no.1 was written in Cuba when he was 19 years old. The composer, now aged 91, has since become a significant figure in Latin American art music and the USA musical scene due to his vast catalogue of compositions which encompass almost all media, in addition to his work as lecturer, professor and writer. Although this Prelude is his earliest piano work and has an openly-Romantic style, it already portrays the individuality of young De la Vega and manages to paint a world of its own in only three minutes. The rich chromaticism of both harmony and melody creates intensity and drama in the opening section. This gives way to a middle section, where Neo-Impressionistic harmonies and gestures reminisce of natural landscapes and water — first as pulsating waves, and later as dreamy, shimmering reflections of those waves. The Preludio is concluded by a return to the initial intensity, which then fades away into the distance. 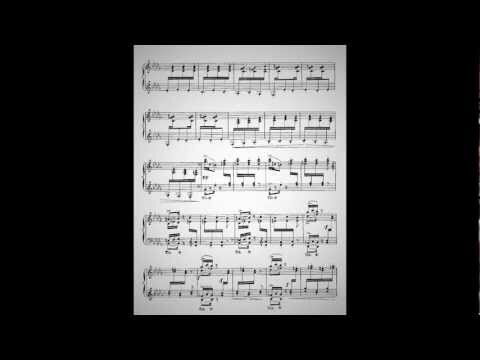 The two Danzas by José María Vitier, which Willanny learned while still a child studying in Cuba, are wonderful examples of this composer’s unique style that seamlessly fuses serious music with popular Cuban music. While well-known for his extensive catalogue of TV, radio, theater and film music, Vitier’s opus spans orchestral, chamber, choral, vocal, and piano works, as well as religious works and jazz. The style in his piano music is influenced by the Cuban tradition of Saumell, Cervantes, and Lecuona, along with jazz and music from other Latin American countries. The Danza de Fin de Siglo (The End of the Century Dance) combines refined pianistic virtuosity with nostalgic melodies and the Cuban Danzón rhythm, and evokes memories of things past. In Juego de Muchachos (Young People’s Game), the fast tempo and lively rhythms, together with the charming, coquettish melodic gestures, effectively depict the playful spirit of youth. Aldo López-Gavilán, a young classical and jazz pianist and composer, is quickly becoming one of the most notable Cuban musical figures of his generation. This particular work of his, Pájaro Carpintero (Woodpecker), is refreshing and vibrant. Its most noticeable element is the theme, where the repeated notes imitate the Woodpecker bird as it carves a hole in a tree. These lively sections with the repeated-note theme are interspersed with more lyrical sections in which jazz harmonies come to the fore. The middle section breaks the pattern — it begins with the cell of the single repeated-note C, in sixteenth-notes, first on the right and then on the left hand. This rhythmic continuity is set against syncopations with the opposite hand in an improvised style. When chords are added to the mix, the momentum and the energy continue building up until an inevitable climax is reached which culminates in a variation of the lyrical theme. A recapitulation takes place, and then a rhythmic, celebratory Coda ends the work. The last two pieces in the CD are written by composer, producer, arranger and classical guitarist Yalil Guerra. What is most striking about both works is the ease with which traditional Cuban melodic gestures and rhythmic figures are weaved into polyphonic textures, irregular rhythms and a modern and personal harmonic language. Guerra, a Latin Grammy winner for Best Classical Contemporary Composition and six times nominee, has composed for chamber and choral ensembles, as well as for solo instruments, including many works for piano. The Homenaje a Aurelio de la Vega (Homage to Aurelio de la Vega), in the form of a Cuban Danzón theme with six variations and a Finale, is Yalil Guerra’s tribute to his composition professor, Aurelio. The variations are highly unified — not only by the theme, but also by the intervalic, polyphonic and harmonic treatment of the musical material. At the same time, they present a wide variety of moods and perspectives, from the ethereal and pensive, to the incisive and explosive. The textures are mostly polyphonic and include counterpoint and imitation, while the rhythm is complex due to the frequent use of polyrhythm, and irregular rhythms and meters. The Toccata is a compact 5-minute piece that is both technically and energetically challenging. It consists of five contrasting sections in the first half, which are then repeated from beginning to end. However, there are subtle but constant changes in the repetitions, which make the second half of the work seem familiar, although not quite known. Technically it is equally demanding for both hands, and in some sections a Bachian influence can be perceived. The piece tends to oscillate between more playful, rhythmic elements; wild, frenetic outbursts; and a mix of both. Moreover, the Toccata is the work that initially connected the composer and producer Yalil Guerra with the pianist, Willanny, and it is therefore what led to the making of Polychromatic. 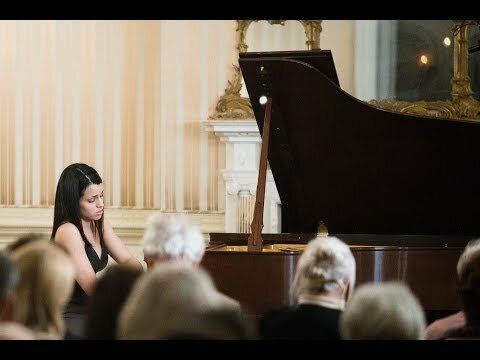 Willanny Darias (born 1993 in Havana, Cuba) graduated from the Manhattan School of Music in NYC with a Bachelor (2014) and a Master of Music (2016) in Classical Piano Performance, where she studied with Dr. Solomon Mikowsky as a full scholarship student. Her first solo CD containing music of Schumann and Berg as well as four living composers from Cuba will be released in late 2016 by RYCY Productions. Recent performances include: an appearance with Cuba’s National Symphonic Orchestra and recitals and performances in Los Angeles (U.S.), Frankfurt (Germany), New York (U.S.), Samos (Greece) and Havana (Cuba). In New York she has also performed at the Juilliard School, the Kosciusko Foundation and Weill Recital Hall at Carnegie Hall. 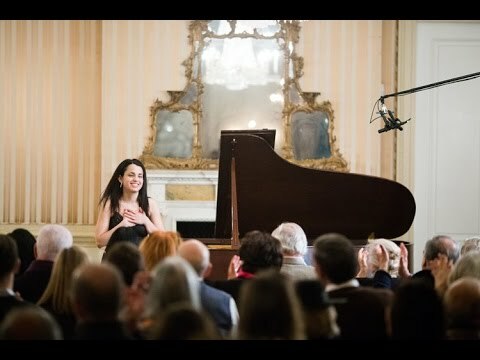 Her New York City Debut was on February 24th, 2015, at the Americas Society on Park Avenue. This recital was the opening night for the Cuban Culture Festival New York and she had a full house. 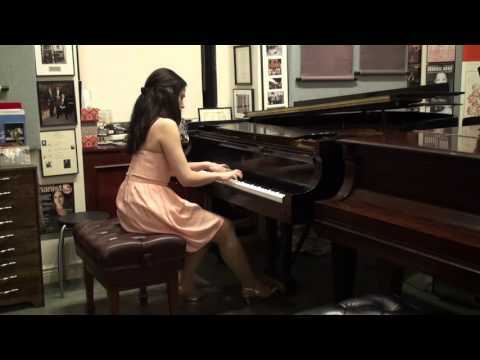 In 2015-2016 she did a one-semester exchange at the Musikhochschule Stuttgart in Germany, where she studied with pianist Kirill Gerstein. 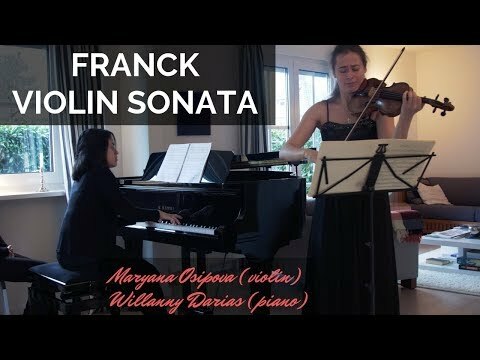 Willanny is also active as a collaborative pianist, performing in recitals and festivals with both string and wind instruments, as well as doing collaborations with larger ensembles. Her wide musical interests led her to study and analyze many operas by Wagner, Strauss, Berg and Britten, as well as briefly study harpsichord, orchestration and conducting. At the Manhattan School of Music she was coached by Lucie Robert, Nicholas Mann, Paul Cohen and André-Michel Schub in chamber music, Raymond Beegle in Vocal Accompanying, Kent Tritle in Choir and Jocelyn Stewart in Baroque Accompaniment. In August 2016 she opened a bilingual blog where she writes articles giving advice to musicians, which can be found at musicamental.com. In October and November 2016 she participated in the Aurora Music Festival in Sweden where she performed chamber music and was part of the premiere of Leif Segerstam’s Symphony no.305. 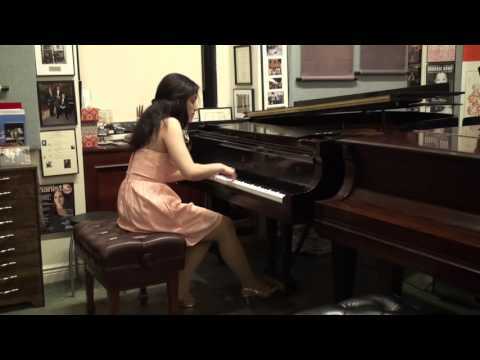 Darias began her piano studies in Cuba at age 4 with Rosalía Capote and was trained in Solfège from age 5 with Lucía Varona. 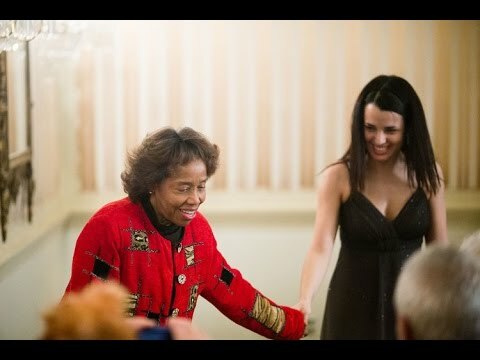 At 7, she began studying at the Escuela Elemental de Música Manuel Saumell with Hortensia Upmann and made her first-ever public performance at the Teatro Amadeo Roldán. She had her symphonic debut at 13 with Mozart's Piano Concerto no.12 in A major. At 14, Russian pedagogue Dr. Stanislav Pochekin invited her to the Music and Dance summer course held in Andorra. She was later accepted into Cuba's Escuela Nacional de Arte, where she studied Piano with Dr. Teresita Junco, and Harmony and Musical Analysis with Dr. Iliana García. 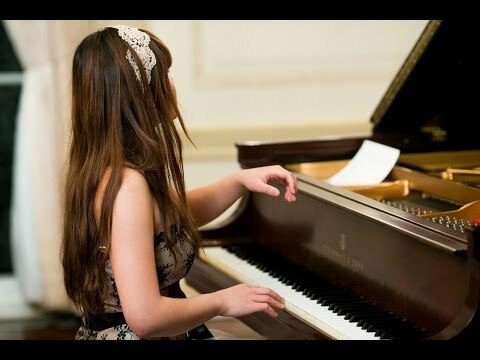 That same year, she performed Tchaikovsky’s First Piano Concerto with Cuba’s Orquesta Sinfónica Nacional, conducted by Mexican maestro Eduardo Sanchez Zuber - who later invited her to tour in Mexico with the Orquesta Sinfónica de Michoacán, with a final performance at the Sala Nezahualcóyotl (Mexico City). In 2010 she won first prize at the Unión de Escritores y Artistas de Cuba (UNEAC) Piano Competition, Cuba’s most prominent national classical music event, and was awarded all special mentions and recognitions by the jury, becoming the youngest performer ever to win this competition. 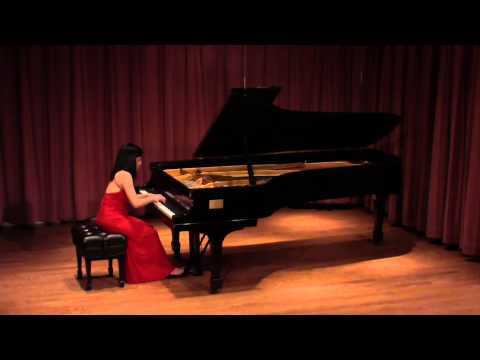 Her other awards include five grand and first prizes in national and provincial contests held in Cuba; First Prize at the Maracaibo International Piano Competition (Venezuela); First Prize at the Bradshaw and Buono International Piano Competition in New York; and Fourth Prize at the Panama International Piano Competition in Panama City. You can find some of her performances on video and audio by going to willadarias.com.